Open a world of possibilities with daily reading, talking, singing, writing and playing time with your baby. 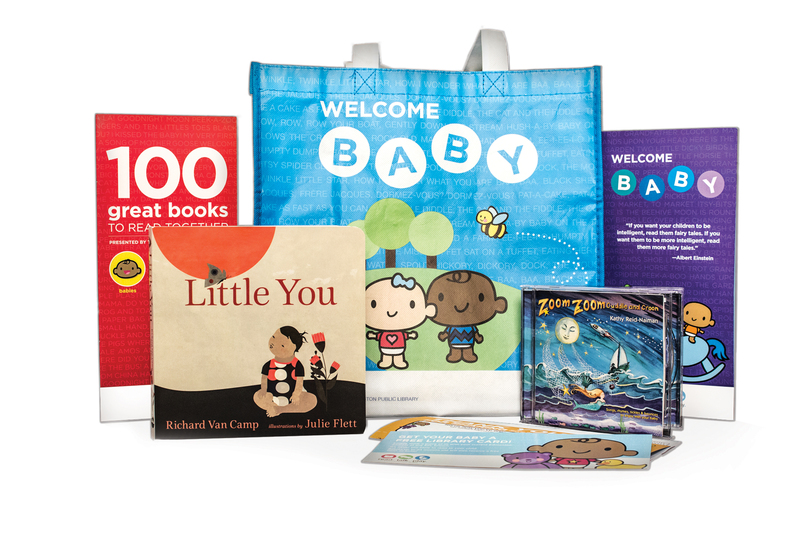 EPL’s Welcome Baby program provides powerful early literacy resources for your baby’s happy and healthy early development. Help your baby become an early active learner with books, music, culture and play. Our fun-filled, drop-in early literacy classes run at every EPL location and help parents prepare babies for a lifetime of learning. Discover all of our early literacy classes and events. Bring your little one to Baby Laptime, Sing, Sign, Laugh and Learn or any one of our many children's classes. And it’s all free. How do I get a free Library Card for my baby? Does EPL have multi-lingual baby songs?